You will need to sign in and then you will see your Account number at the top of the page, please quote this on any correspondence. Enter the details requested and click the 'Continue' button. You will be sent an email, which will contain a link to reset your password. I've moved house, how do I change address details on my account? Visit the Address Book page. Please note: This will not amend any orders in progress. If you have an order in progress please contact Customer Services Team either by using the Contact Us page or you can give them a call on 0333 043 0700 - 8:30am -5pm, Mon-Fri (Charges to 03 numbers are the same as standard UK landline numbers starting in 01 or 02 and mobile providers may vary) and they'll amend your order. When you are adding an item to your basket you will see an estimated delivery time, this could show a few days or an estimated despatch period. With live plants they are often grown for a specific despatch period and you can order well in advance to secure your plants. We quality control daily our products to ensure they are growing to form and are on schedule for the despatch period given. This despatch period can change and your order will update within your Order Enquiry page within “my account”. Plus you will also be sent an email notifying you of the change. We are sorry that we have given cause for complaint. To send your complaint please get in touch by visiting the Contact Us page. You will then be taken to a screen where you can detail the issue. To enable us to give a full response please provide as much detail as possible. We aim to reply to all emails with 3 working days. Orders of Packet Seeds, Garlic, Onion Sets, Shallots and Mushrooms (except windowsill kits) only incur a charge of £1.99 per order. Orders for all other products incur a carriage charge of £4.99. Where an order includes both packet seed and other items, only the charge of £4.99 will apply. Some very large items may not be available to all areas. Orders to the Isle of Wight and Isle of Scilly: For orders weighing less than 2kg the standard mainland UK carriage charge applies. Where the weight of the order is 2kg and above the carriage charge is £14.99. Republic of Ireland: For orders weighing less than 2kg the normal UK mainland carriage charge applies. Where the combined weight of the order is 2kg and above, the carriage contribution is £14.99. Other EU countries: We can only deliver packet flower and vegetable seed to other EU countries. The carriage charge is £4.99 per order. Very large items (marked XL): require a surcharge of £5 per item. 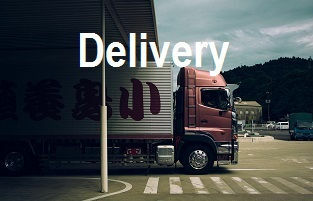 Some very large items are only available for delivery to UK Mainland. We may need to contact you regarding delivery, so please provide a contact telephone number with all orders. We are happy to quote for carriage of specific products to outlying areas. Some items may not be available to all areas. We reserve the right to revise any carriage charges in the event of carrier price increases or other unforeseen circumstances. We will advise you of any increased carriage charges before payment is taken. The delivery period shown on your order confirmation usually spans 3 weeks with the middle week being our target for despatch. As plant batches develop they are regularly checked to determine exactly when they will be at the optimum time for despatch. Autumn flowering bulbs will be delivered from mid September and subject to stock can be ordered until mid November. Growing instructions will be provided with each pack. Fruit Orders will be despatched during the delivery periods stated and normally take 7 to 14 working days but please allow for busy periods, particularly at the start of the despatch period. Potato Orders will be despatched during the delivery periods stated and normally take 7 to 10 working days but please allow for busy periods, particularly at the start of the despatch period. To track your order online please visit our website www.suttons.co.uk and log into your account. Then, simply follow the instructions given. To track your order online please visit your Order Enquiry page within 'my account' and log into your account to check the latest status of your order. With live plants they are often grown for a specific despatch period and you can order well in advance to secure your plants. We quality control daily our products to ensure they are growing to form and are on schedule for the despatch period given. This despatch period can change and your order will update within your Order Enquiry page within 'my account'. Plus you will also be sent an email notifying you of the change. Why have you delivered my plants early? We are supplying a live product and to make sure our customers receive their plants in excellent condition and at the optimum stage of development for growing on successfully. It is sometimes necessary to despatch plants a little earlier than originally planned. Our plants are all grown to a despatch date and the delivery period quoted in our catalogue and online when you place your order, this usually covers a 3-week period, or states a specific despatch week. However, as you will appreciate temperatures, light conditions and other factors all affect the speed at which plants develop. We take every effort to supply the items as ordered but under exceptional circumstances we may send substitutions so that our customers are not disappointed by receiving no product at all. The substitutions are carefully chosen to be as similar as possible to the original item. If you are not happy with a substitute that you have received then please return it to us for a full refund. I'm going on holiday, can you delay the delivery of my plants please? Our plants and other live products are all grown with the utmost care and to the highest quality standards. They will be sent to you at the best stage of development for travelling and for you to grown on successfully. The items have to be despatched when they are ready, often at the rate of several thousand per day, and so we regret that we are unable to accept requests for them to be held for despatch on or after certain dates. If you are not likely to be at home when your items are due to be delivered then please let us have an alternative delivery address (perhaps a friends or neighbour). To ensure that we are able to comply with your request please let us know at least 3 weeks before the delivery period given. As soon as your plants arrive please carefully unpack them and check that the compost is moist. Should the compost be slightly dry then water carefully using a small watering can and allow to drain. Stand the plants in a light, warm place. Provided they are kept moist they will happy like this for up to 3 days whilst you decide where to plant them. For planting directly into the garden, ensure that the soil has been dug over and lumps broken down, then plant straight into their flowering position. In areas where the existing soil is poor, incorporate a good handful of compost into each area you are planting. Once planted don't forget to give your plants a drink and protect them from any slugs and snails that may appear. To achieve that stunning display, please make sure that you regularly check your plants to ensure that they have adequate water, and feed regularly. When planting containers, mix a slow release plant food into the compost. They will then need less attention throughout the winter. Watering below the foliage canopy of the plants will reduce marking and damage to the flowers. Removing the dead and damaged flower heads will not only improve the appearance of the plants, but will also prevent the plant putting energy into seed production and ensure that more flowers are produced. We hope that the plants will give you much pleasure and be a delightful addition to your garden. We can deliver packet seed to all countries within the EU. The carriage charge is £4.99. Items other than seed can only be delivered to addresses within the UK. Our full range of seed is available on the website. We are unable to send any items, including seed, to addresses outside of the EU. You can register an account with a UK address and have packet seed (only) sent to another EU address. The carriage charge will be £4.99, irrespective of the number of packets ordered. Your order will normally be sent by Royal Mail Airmail. If you wish to have items delivered to different addresses, then a separate order will need to be placed for each address. A delivery charge will be made for each order. To use our website simply browse through the products until you find what you would like to buy and then add the item to your basket. You can then either continue shopping or go to the checkout to complete your order. This is to help make your online shopping safe and secure and is necessary when giving personal data or making a payment. It also enables you to track any orders and to change your personal details online, update your contact preferences, add product reviews and receive despatch notifications. Payment for online orders can be made by credit/debit card or Paypal. Currently we accept all major cards except American Express. We only accept payment in sterling. We are pleased to confirm that we have introduced Paypal as an additional payment option for our customers, making shopping with us even easier than before. If you wish to pay for the items in your shopping basket using Paypal, simply choose this method of payment when you checkout, click the button and you'll be briefly redirected to Paypal where you enter your details. Upon successful completion you'll be brought back to our website where you'll then see your 'Order Acknowledge' page confirming your transaction was successful. Sorry but we do not accept these vouchers. Instead, payment can be made by cheque, credit or debit card. Payment is taken at the time the order is placed, irrespective of whether it is made by cheque or credit/debit card. 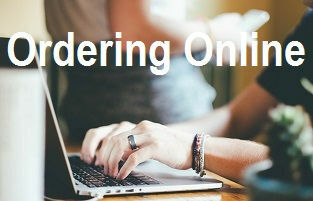 Order Online or call 0844 326 2200 - 24hrs a day, 7 days a week. Charges to 0844 numbers cost 5p per minute plus your telephone company's access charge. Customer Services call 0333 043 0700 - 8:30am -5pm, Mon-Fri. Charges to 03 numbers are the same as standard UK landline numbers starting in 01 or 02 and mobile providers may vary. Product or other query Email Customer Services. The extensive collection of articles within our KnowledgeBase will answer most questions however, if you cannot find what you are looking for then please contact us. Please provide as much detail as possible including your account number, order number or postcode. 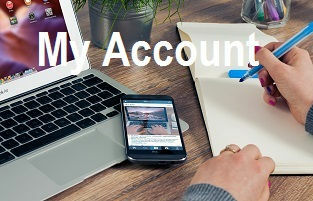 This will enable us to find your account and to then answer your question. We aim to answer emails within 3 working days although this may be slightly longer during the peak gardening season. I confirm that our telephone number is a non-geographical local rate number and calls from a standard BT line will cost 4p a minute, at any time of day. Call costs from other providers and from mobiles may differ. As a business we do not make any profit from these calls. Using a non-geographical number allows us to better manage our calls and therefore to provide our customers with a high level of customer service. For example, our 0844 numbers enable callers to contact us 24 hours a day, 7 days a week. If you do not wish to call the 0844 number then we can be contacted via our website or by post at the address given in our catalogue. What special offers are available? You will find offers throughout our website but have created a offers page for you to browse. Do also make sure to register to our newsletter for the most up-to-date and exclusive offers. Why have items removed from my basket page? We apologise for the fact that items have been removed from your basket. The reason for this will be either due to the item that you have selected no longer being available or because we are not able to send that particular item to your address. If you have a non UK address but are within the EU then we are able to accept orders for packet seed but for no other items. If your address is outside of the UK then we regret that we are not able to supply any items. Also, this could be due to cookies having been removed/deleted from within your browser.